WARRANTY & REPAIR SERVCE INFO. Water resistant watches are rated based on a laboratory pressure test. Watches that are marked “water resistant”, with a depth rating of from 3 ATM (Atmospheres), 50 feet, 100 meters, etc., are not designed to be submerged below the surface of the water. To avoid leaks and “accidental wetting” please see diagram below to guide you about “Degree of Water Resistance”. Always set the crown in closed position (the normal position). Tighten screw-lock crown completely. 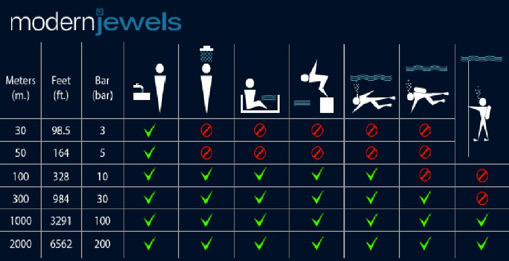 – To ensure water resistance, exposure to hot water is not recommended. – Clean your watch with a soft cloth and water only. Do not submerge your watch under water unless it is water rated (see case back). – After salt water use, rinse watch under tap water and wipe dry with a soft cloth. – Metal watch bands should be washed periodically to keep them looking beautiful. Clean with a soft brush dipped in mild, soapy water. – Be sure to wipe dry thoroughly with a soft cloth. 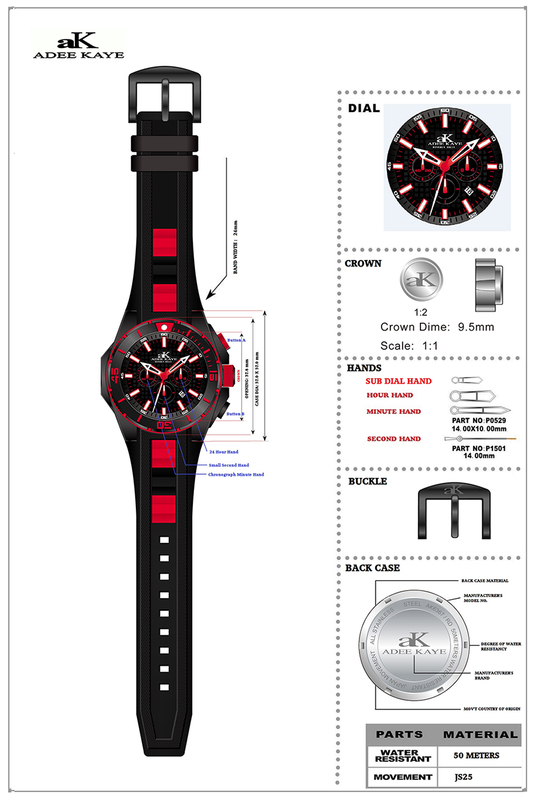 To find information on how to adjust the setting of your Adee Kaye watch. 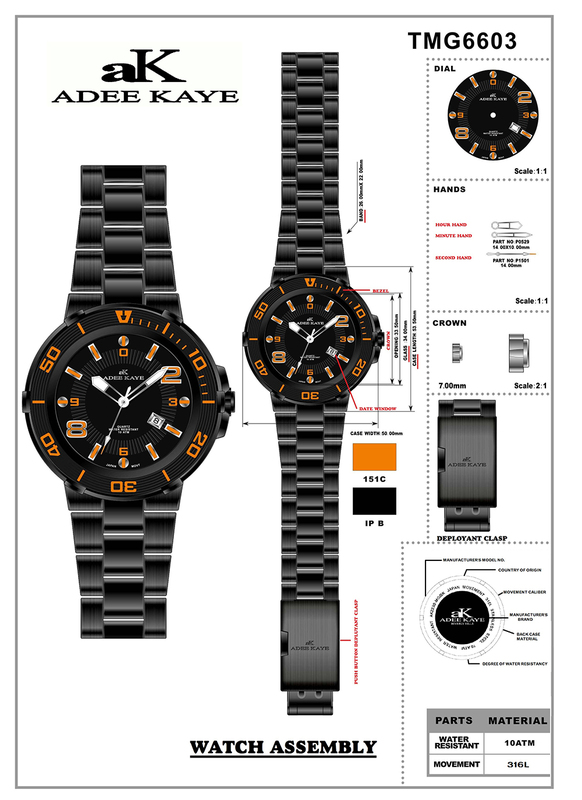 Below is the watch assembly diagram that will guide you on what components of the watch the needs to be adjusted.